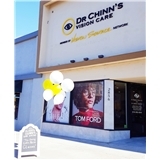 Dr. Chinn's Vision Care-Dr Stephen Chinn O.D (San Diego) - Book Appointment Online! PLEASE KINDLY GIVE US A 24 HOUR CANCELLATION NOTICE. Dr. Chinn and his staff are great!